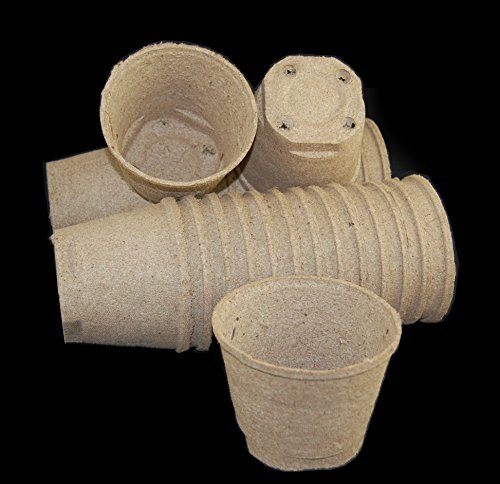 The industry standard for over 30 years, Jiffy-Pots are manufactured from outstanding raw materials consisting of a minimum of 50% sphagnum peat, wood fiber and lime to adjust the pH. The peat content provides a combination of superior root penetration, good drainage and aeration while the wood fibers strengthen the pot. The Jiffy-Pot is the environment friendly alternative to the excessive use of plastic in horticulture. Jiffy Pots are 100% compostable and approved for organic production. At the same time, new production methods make the pot well-suited for mechanical handling. Jiffy 5 inch by 4 inch deep round Peat Pot #150 sold in full case quantity of 600 per case.